Threshold Environmental Services is committed to the delivery of high quality scientific services and advise to our clients. Our ultimate goal is to work with our clients to ensure their compliance with State and National Occupational Health and Safety legislation and in doing so help implement the framework for a healthier workplace environment for all employees. Threshold Environmental Services has extensive experience in the field of occupational safety and health monitoring. We employ a range of sampling equipment and techniques including, sorbent tubes, portable gas detectors, bacteria and mould sampling devices and continuous sample loggers. 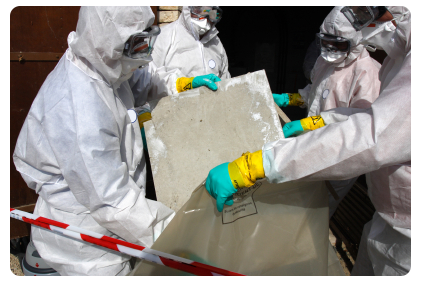 Workplace airborne contaminants can come in various forms including chemical vapours, dust and gases. Exposure to these workplace airborne contaminates are regulated under the Queensland Work Health and Safety Regulation 2011. The regulation states in Chapter 3, Part 3.2, Division 7 (49) “A person conducting a business or undertaking at a workplace must ensure that no person at the workplace is exposed to a substance or mixture in an airborne concentration that exceeds the exposure standard for the substance or mixture”. A critical factor in the effective risk management of airborne contaminants in the workplace is the implementation of a comprehensive air monitoring program to first assess personal exposure concentrations on site. Where air testing results of targeted air contaminants are found to exceed Safe Work Australia regulatory limits engineering, administrative and or P.P.E control measures will be recommended to the client to bring the facility back into compliance with its regulatory obligations. Most workplaces expose employees to noise. 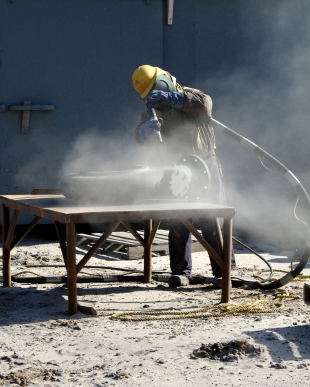 Employees that work in noisy workplace environments such as construction sites, quarries, foundries and processing facilities can be exposed to noise levels far in excess of the Safe Work Australia regulatory limit of 85 dB(A). 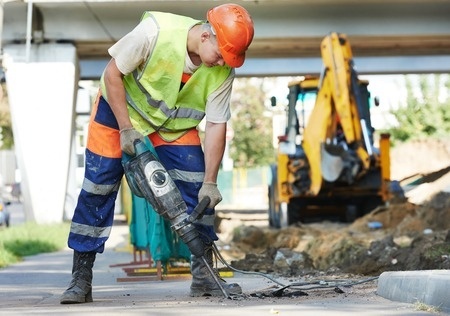 Workers exposured to noise levels above the regulatory limit on a regular basis have a greatly increased risk of developing noise induced hearing loss (NIHL) if not wearing the appropriate hearing protection. Exposure to workplace noise levels is regulated under the Queensland Work Health and Safety Regulation 2011. The regulation states in Chapter 4, Part 4.1, 57(2) “A person conducting a business or undertaking at a workplace must ensure that the noise that a worker is exposed to at the workplace does not exceed the exposure standard for noise”. Through a combination of personal, static and area noise survey techniques Threshold Environmental Services can assess workplace noise exposure levels throughout a facility, target areas of exceedance and provide recommendations on control measures required to bring the facility back into compliance with its regulatory obligations. Call us now to learn more about our services and how we can help you meet your regulatory requirements.